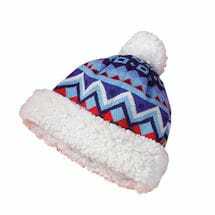 Bring on the winter weather! 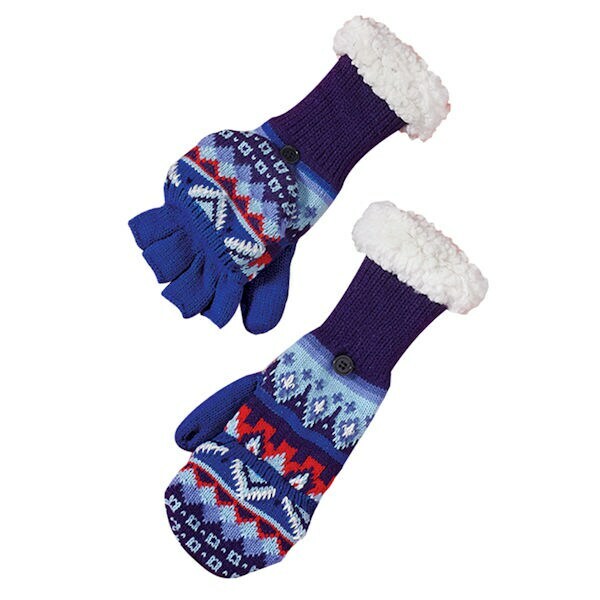 Our adorable Nordic Blue accessories are the perfect companions to the frosty chill outside. With a bright, blue-and-red knit outer layer (100% acrylic) and a super-fluffy faux sherpa lining (100% polyester), they'll keep you toasty warm and cozy all winter long—and look great at the same time! 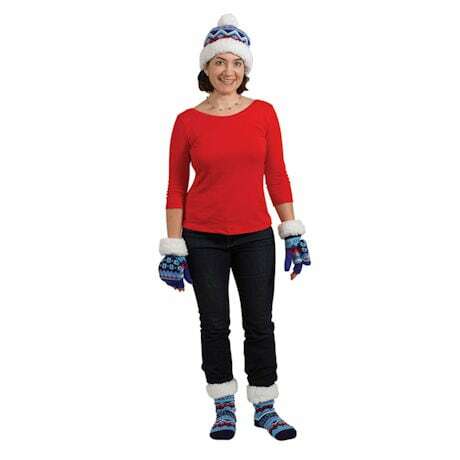 Choose from the Nordic Blue Hat, Nordic Blue Mittens (featuring a convertible fingerless flip-top style, held open with clever hidden magnets!) 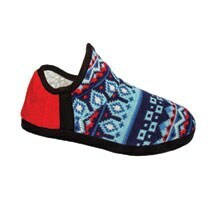 or Nordic Blue Slipper Socks (with skid-proof soles, fits women's shoe sizes 5-11). Or grab all three for a cozy coordinated look!